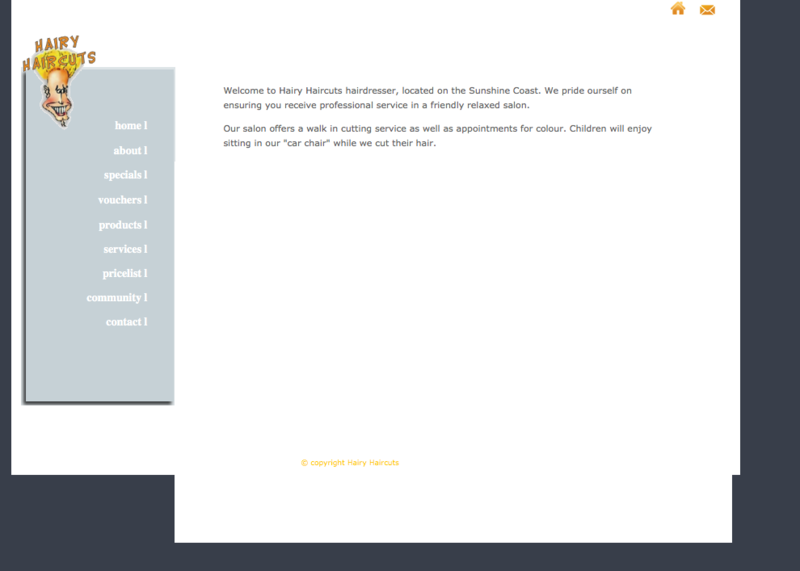 Welcome to the new Hairy Haircuts website. As you can see we've come a long way over the past few years to meet the expectations of our customers in an increasingly connected world. We hope you have an enjoyable and pleasant experience, and please don't hesitate to let us know how we can improve things further for you. From all the staff at Hairy Haircuts, enjoy! We offer a vast range of colours, for when you need that extra flair. Not sure exactly what you want? pop in and have a chat with us, we’ll guide you through. We offer a vast range of streaks and foils, for when you need that extra flair. Not sure exactly what you want? pop in and have a chat with us, we’ll guide you through. We offer a vast range of styles, for when you need that extra flair. Not sure exactly what you want? pop in and have a chat with us, we’ll guide you through. Welcome to the new Hairy Haircuts website. We hope you enjoy. The girls at Hairy Haircuts are just amazing. Unhappy with my last hairdresser I thought I’d give Hairy Haircuts a go, best decision, I’m now a loyal customer of three years. I’d like to thank Hairy Haircuts for many years of great service, and for providing a relaxed and friendly atmosphere. At Hairy Haircuts we love what we do, that’s why we specialise in haircuts and colours. All our stylists are fully qualified and have regular up to date training in new techniques. We are a family orientated salon that caters for everyone, from small children to senior ladies and gents. Feedback from our clients has indicated some would prefer to make appointments for haircuts. We now allow this, but will continue to fit in any walk ins when we can. So if you would like a great new hairstyle and colour, or just a trim, come on in we would love to meet you. Keep in mind we also have an in house beauty therapist who will take care of all your beauty needs. Hope to see you soon!